The National Institute for Health and Care Excellence (NICE) have set out strict new guidelines on the number of nurses that should be available to care for hospital inpatients. In their guidelines NICE advise that having one nurse care for more than eight patients on a ward, during the day, should alert hospital staff to the possibility that patient care is being compromised. As things stand, it is completely up to a hospital to decide on nursing staff levels. Some hospitals have their own policies in place, but until now there has not been any national guidance on the subject. It is hoped that, whilst there will be a significant cost in implementing these new NICE provisions (an estimated £200million), they will eventually save the NHS money by improving patient safety and increasing the standard of care on hospital wards. 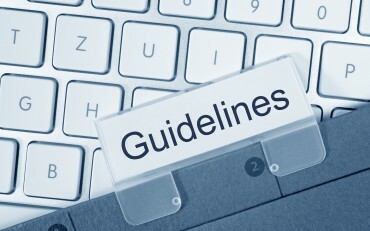 The new guidelines do not advise on a definitive minimum nurse-to-patient ratio. NICE explain that the reason for this is because different wards in different hospitals will have different nursing needs and therefore there is no blanket figure that can be applied across the board to safely meet patients’ nursing needs. The guidance makes suggestions and recommendations to improve five key areas: Focus on patient care; Accountability for ward nursing staff establishments; Responsiveness to unplanned changes; Monitoring adequacy of ward nursing staff establishments; and Promoting staff training and education. NICE has also published a list of ‘red flag events’ which serve to trigger nurses in charge of shifts to ensure, as a matter of urgency, that they have sufficient staff to meet the needs of patients on that ward. The guidelines have come about as a result of NICE being asked, by the government, to explore the issue of nurse staffing levels after it was identified as a problem area by the Healthcare Commission’s investigation into the operation of Stafford Hospital.